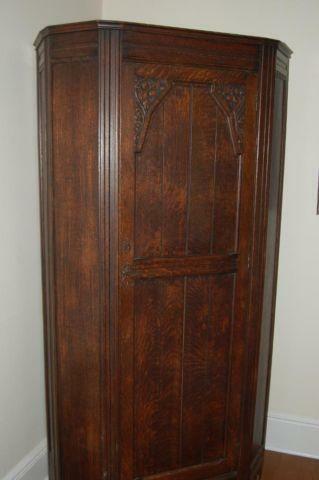 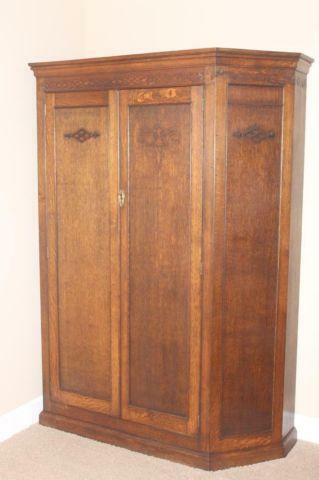 Beautiful oak wardrobe with a unique design for use in a corner. 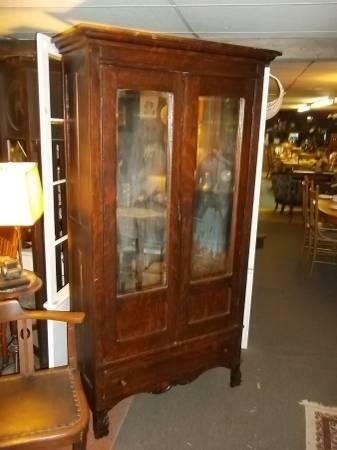 Very sturdy and in excellent condition. 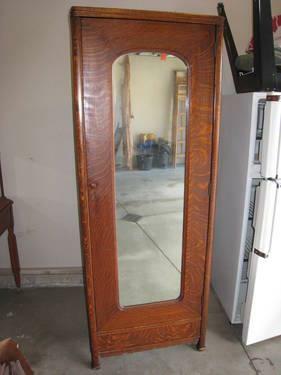 Never seen another like this one. 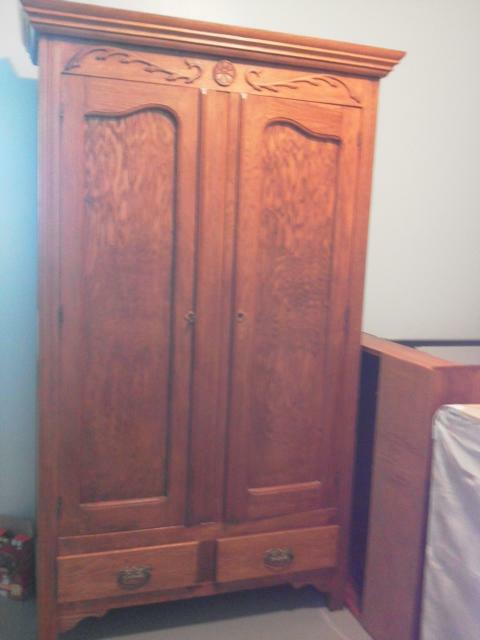 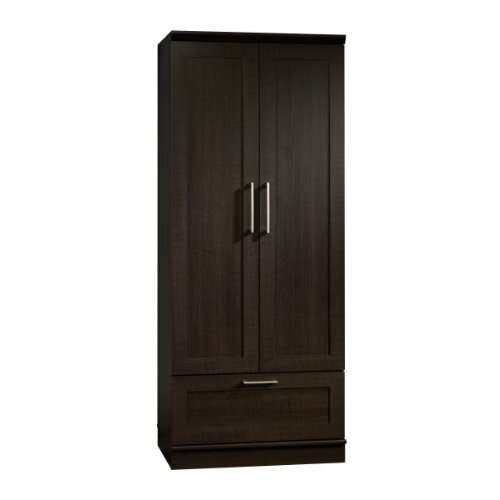 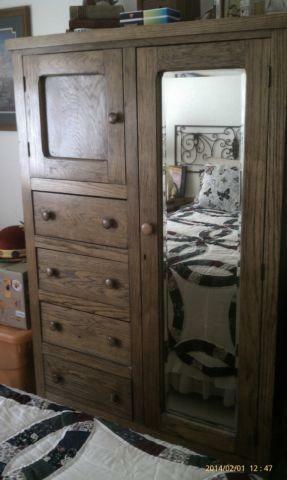 Hardwood Oak Wardrobe Made in USALike new from smoke-free, pet-free, child-free home. 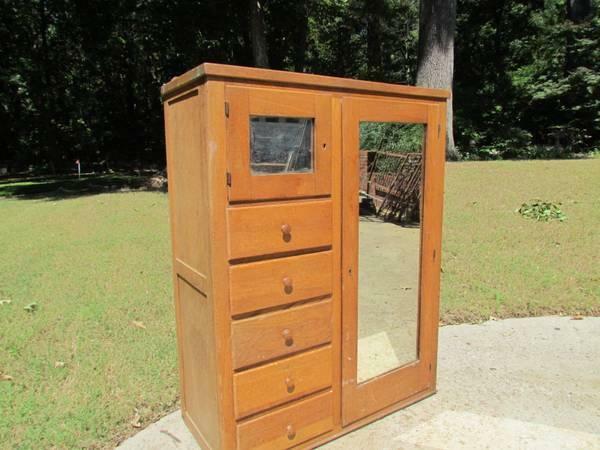 Bought new from Hutsons fine furniture.No scratches, scuffs or dings.